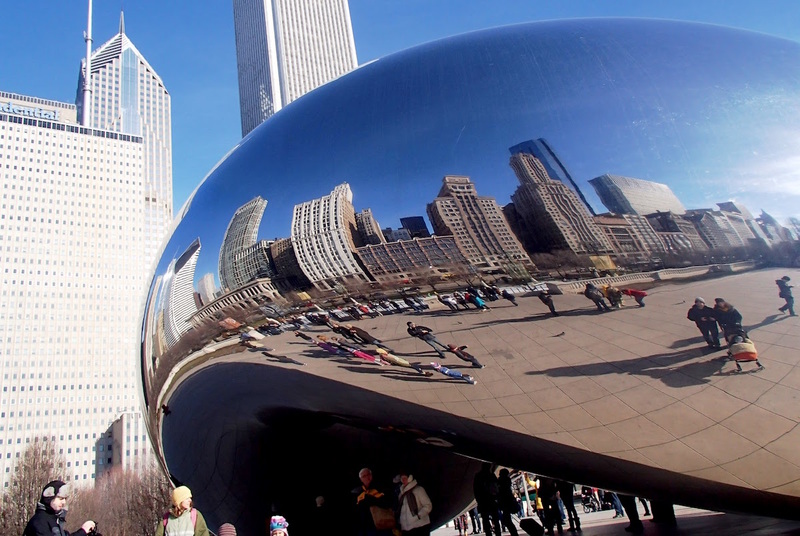 Like all major cities, Chicago suffers from having some high-priced attractions. Many of the city’s most iconic restaurants, landmarks and experiences will cost you a pretty penny, whether you’re spending $23 to enjoy the view from the 103rd floor of Willis Tower or dropping $45 on an architecture boat tour of the city skyline. Fortunately, just as the best things in life are free, the coolest things in the Windy City won’t cost you a dime — at least if you time them right. Whether you’re a tourist trying to vacation on a budget or a local looking for some affordable fun, these attractions will keep you entertained without costing a penny. Chicago is home to some of the world’s greatest culture, and although much of it is kept behind a paywall, you can gain free access during certain dates and times — especially if you have an Illinois state driver’s license. On Illinois Resident Discount Days, the Adler Planetarium, Shedd Aquarium and Museum of Science and Industry all offer free admission when you flash your Illinois State I.D. on specific days each month. The Chicago History Museum in Lincoln Park is free to Illinois residents every Tuesday between 12:30 p.m. and 7:30 p.m, and it is free to children 12 and under every day (which is good news for any kid who wants to dress themselves up as a Chicago-style hot dog). Located in the same neighborhood, the Peggy Notebaert Nature Museum has suggested donation days for Illinois residents with an ID every Thursday, while children 3 and younger can enter free. If you love art (or have just always wanted to recreate the scene in “Ferris Bueller’s Day Off” where the gang stares at Georges Seurat’s “A Sunday Afternoon on the Island of La Grande Jatte”), head downtown to the Art Institute of Chicago on Thursdays, when the museum is free to Illinois residents from 5 p.m. to 8 p.m. Young ones under the age of 14 (and Chicago residents ages 14 to 17) can enter free anytime. The suburban Chicago Botanic Garden has free admission daily, though parking can be pretty expensive, so take the Metra Union Pacific North Line if you’re coming up from the city. One of the best attractions in all of Chicago, if not all of America, is the Lincoln Park Zoo, which is free to the public 365 days a year. The 35-acre zoo was founded in 1868 and is one of the oldest zoos in the country. Today the Lincoln Park Zoo is home to 1,100 animals representing some 200 different species, including fan favorites like polar bears, big cats, penguins, gorillas and monkeys. In addition to the colorful cast of creatures, the zoo is also home to a truly historic burr oak tree that experts estimate is 150 years old. Chicago has over 8,000 acres of parks, which means over 8,000 acres of outdoor space where people can play, swim and sightsee for free. Officially completed in 2004, downtown’s Millennium Park is the most frequently visited park in the city, recently named the top tourist attraction in all of the Midwest. Many come just to snap a selfie with the oblong, reflective Cloud Gate statue, nicknamed “The Bean” by locals, but other attractions include the year-round flower displays at Lurie Garden, the summertime waterworks at the Crown Fountain, and the occasional free shows and concerts at the Pritzker Pavilion. Though it no longer enjoys the same renown it held during the turn of the twentieth century, Humboldt Park is still a great (and massive) city park. There are tennis courts, baseball fields and bike paths for exercisers, while those looking to relax can enjoy the extensive rose beds and the view of the water from the beautiful boathouse pavilion, which was named a Chicago Landmark in 1996. Children, classic movie buffs and novelty enthusiasts alike may find some amusement in Oz Park, a Wizard of Oz-themed public park developed as a tribute to author Lyman Frank Baum, who lived in the area in the 1890s. In the 1970s, the city of Chicago acquired the land and came up with the idea of erecting statues of the Tin Man, the Cowardly Lion, the Scarecrow, Dorothy and Toto to help revitalize the dilapidated Lincoln Park neighborhood — and their efforts may have been a bit too successful, if you ask some residents, as the region now boasts some of Chi-town’s most expensive real estate. Regardless of their effect on nearby rent prices, the character statues make Oz Park one of the most photogenic spots in the city. While stand-up comedians typically try to make it big in either New York or LA, Chicago has for decades served as a proving ground for sketch comedy performers. Some of the most famous “Saturday Night Live” stars, including Chris Farley, Tina Fey and Seth Meyers began their comedy careers at the ImprovOlympic, now known as the iO Theater. Founded in 1981 by legendary improv guru Del Close and located in the Goose Island neighborhood, iO focuses on the type of “long-form” improvisational comedy that Close taught to notable students ranging from Bill Murray to Stephen Colbert. Each Wednesday night at 8 p.m., the iO hosts free shows featuring two of the theater’s most popular teams performing the iO’s signature act, “The Harold.” Though the show itself is free, food and adult beverages are available for purchase at reasonable prices. So whether you are looking for laughs or on the hunt for a history museum, Chicago has plenty of free entertainment options available to those who can time it right. Patrick Grieve is a tight-fisted skinflint who can typically be found scrounging around in dive bars, empty baseball stadiums and second-run movie theaters. He’s also a writer, so The Penny Hoarder just felt like a natural fit for him.